Jay-Z lashed out at the Prince estate over their ruptured Tidal deal and ensuing legal battle on the '4:44' song "Caught Their Eyes." On the track, Jay Z accuses the estate – and namely former advisor Londell McMillan – of going against what Prince would have wanted for his own catalog following his death in April 2016. “I sat down with Prince, eye to eye / He told me his wishes before he died,” Jay-Z recounts on the track. In the years before his death, Prince aligned with Jay-Z’s Tidal and gave exclusivity of his catalog to the streaming service. Prince also released albums, performed live shows and unearthed rarities from his vault for Tidal. However, after Prince died without a will, his estate – which employed Prince’s attorney McMillan as an adviser – discovered there was no official agreement between Prince and Jay-Z, allowing them to pursue publishing and streaming deals with other music companies. “Now, Londell McMillan, he must be color blind / They only see green from them purple eyes,” Jay-Z said of the advisor, who was ultimately replaced in April after the contentious and soon-to-be-canceled publishing deal with Universal was structured. 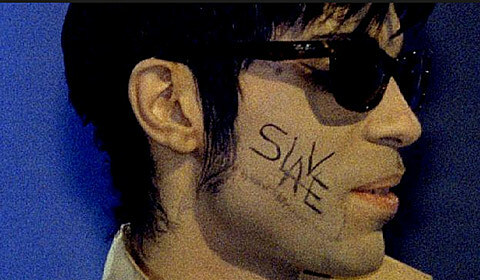 As Jay-Z notes on “Caught Their Eyes,” the estate’s dealings with the major labels go against what Prince fought for as an artist, and accused the estate of profiting off Prince’s legacy in any way possible.